1st game is for numbers 1-32, 2nd game is working with numbers up to 100. 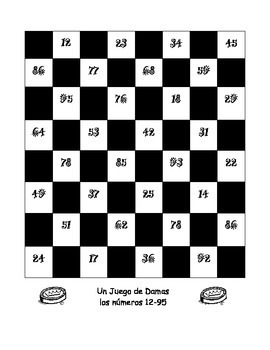 You play just like regular checkers, but when you move to a place you have to say the number in Spanish. We use the colored bingo chips as game pieces and I put the foil star stickers on 1 side to act like king pieces.